Back To The Future’s Past: How Accurate Was The Aging Make-Up? Most of us, when we see old(er) movies, place bets on what the actors are doing now, if it’s not immediately obvious. Some, like Hayden Christensen, have reportedly chosen to run far, far, away from Hollywood (who can blame him, really, after starring in some of the crappiest movies a beloved franchise has ever churned out? ), while others have aged into nearly unrecognizable adults. And some have just aged. Now, thanks to Reddit we get to see what the stars of Back to the Future look like now, and how their real-life aging compares to their simulated movie aging. I think Biff takes the cake. 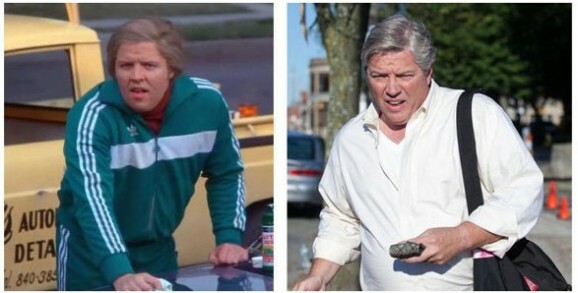 Thomas Wilson was 26 when the movie came out, and at 63 years old he looks incredibly similar to older Biff from the movies. I guess make-up artistry can include a dash of clairvoyance. I’m really glad he doesn’t wear that track suit, though. Lea Thompson, who was 24 when she played Marty McFly’s mother and back-in-time wannabe love interest, has perhaps aged the best. 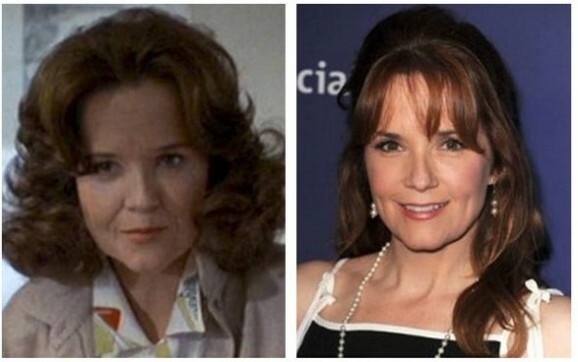 Now at 52 she actually looks more like young Lorraine than Marty’s mother Lorraine. Crispin Glover, then 21, looks pretty similar at almost-50 to George McFly (especially the “better future” version of George McFly), though he’s traded the glasses in favor of more hair. The bow tie is a good call too. 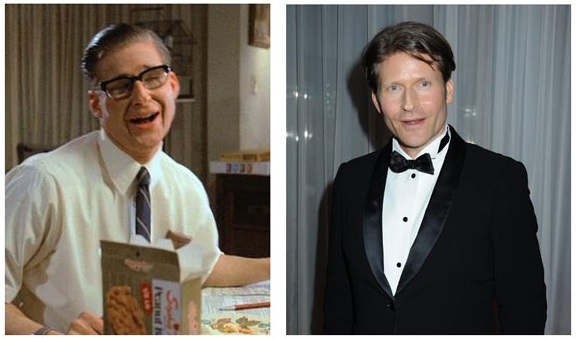 Speaking of Crispin Glover, I and many other fans always wondered why he never starred in either of the Back to the Future sequels. Maybe he only had that single punch in him? He was also busy starring in totally bizarre movies such as 1991’s Ruben and Ed, in which Glover, with some seriously long hair and platform shoes, carries around his dead cat in a cooler. But it turns out that Glover’s refusal to return to the franchise had more to do with the ending and Glover’s belief that it “linked money to happiness.” Well…yeah, I can see that. Glover took his complaints to Zemeckis, who apparently did make some changes to what had been an “offensive” ending, including having Biff employed as the McFly’s servant. Huh. Now I’m dying to know what that original ending actually was! If you need a refresher about the actual filmed ending, check out this 60-second animation of the film. And in case you were wondering what’s happened to our time-traveling hero, the series premiere of the Michael J. Fox Show will air on September 26 on NBC. In the show, Michael J. Fox plays a news anchor who opted to spend more time with family after his Parkinson’s diagnosis. Five years later, he decides to go back to work. God, I hope he drives a DeLorean. The Makeup was really amazing.